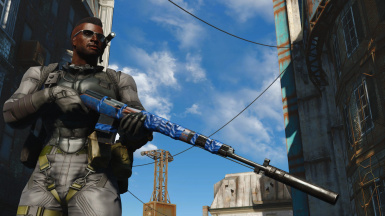 Do you love asXas's SVT-40 weapon? Do you love using it with a suppressor? 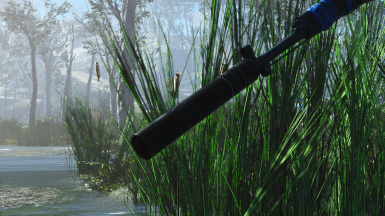 Do you want a more immersive suppressor? Are you secretly a capitalist spy? 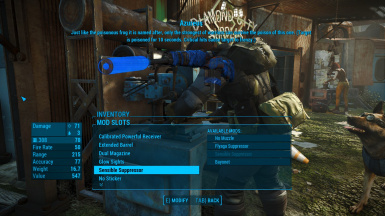 Then this is a mod for you! For those of us who appreciate the humor, but still want a normal suppressor﻿. What is there to say? A more reasonable suppressor for the SVT-40. 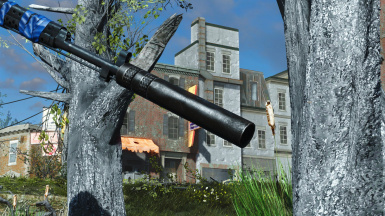 For now it is just the vanilla hunting rifle suppressor however I do plan on modifying the textures to match the more pristine SVT variants as well as accomodating OhDeerSKR's skin packs for the weapon. For now however, it is just the vanilla version. I hope you all enjoy it. V1.1: Altered position of suppressor on the barrel to cover the flash hider. Retextured the suppressor to more closely match the SVT barrel. ﻿V1.1a: A version that works with the Bundle of Tape Mod. ﻿V1.2: Fixed some details to this version which cause the weapon mod to appear on every weapon.